In a letter, he labels them 'antibusiness' for raising the minimum cost of the ship guidance and says he'll support legislation to exempt passenger ferries from the charges. Gov. Paul LePage has asked four of the five members on Portland’s Board of Harbor Commissioners to resign because of an “antibusiness” decision to increase minimum fees charged by harbor pilots to guide ships into port. 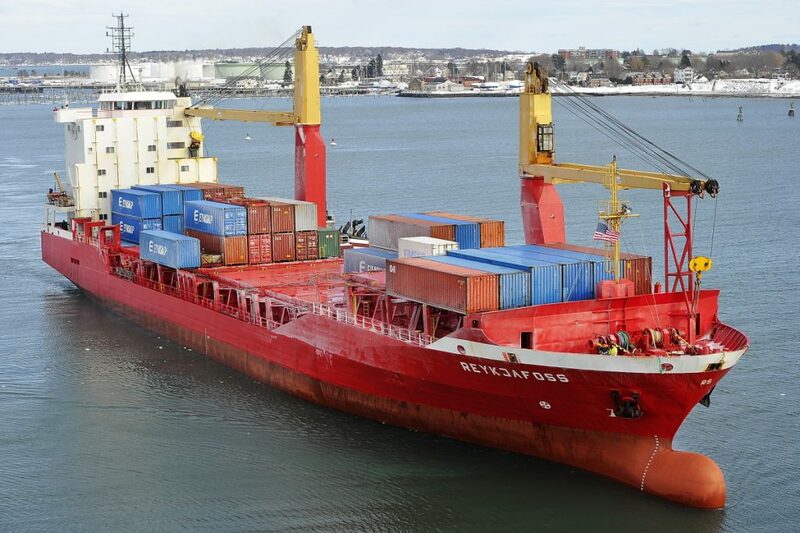 In a Dec. 15 letter to the four commissioners, LePage said increasing pilot fees amounted to a tax increase on business and sent the wrong message to vessels coming into Portland Harbor. He also said he will support a bill exempting some ferries from using pilots. The governor said he understood the financial pressure on Portland Pilots Inc., the company that guides ships into port, but the parties should have consulted his administration for help instead of increasing fees. The fee increase is being challenged by Bay Ferries, the Prince Edward Island-based company that operates The Cat high-speed seasonal ferry between Portland and Yarmouth, Nova Scotia. “Maine businesses and citizens cannot afford any more tax increases. Therefore, I request you resign due to your antibusiness view towards Maine commerce,” LePage wrote. Julie Rabinowitz, LePage’s press secretary, did not respond Wednesday to two emails asking whether LePage still wanted the harbor commissioners to resign. Board Chairman Tom Dobbins, in an interview Tuesday, said he would not step down. Dobbins was appointed to the commission by former Gov. John Baldacci and reappointed by LePage last year. The four other members of the board are appointed by the Portland and South Portland city councils. The governor’s appointee to the commission also needs approval from the two city councils. It seemed to Dobbins that LePage had only heard one side of the fee dispute before writing the letter. “I don’t think he got the whole story,” Dobbins said. In a phone interview Wednesday, Commissioner Bert Jongerden said he had no intention of resigning and declined to comment further. Commissioner Dan Hanley, in a text message Wednesday, also said he would not resign. Commissioner Bill Van Voorhis did not respond to a phone call asking if he intended to step down. Patrick Arnold, the fifth member of the commission, was not sent a letter because he did not attend the meetings when the fee increase was approved, Portland Harbor Master Kevin Battle said. LePage’s letter was in response to the board’s vote last spring to approve a 70 percent increase to the minimum fee charged by Portland Pilots for every trip into and out of the harbor, from $709 per trip to $1,200 per trip. In November, the board lowered the rate to $1,077 per trip after Bay Ferries filed a lawsuit appealing the decision. The ferry company also has appealed the board’s November fee adjustment, said its attorney, Harold Pachios. Bay Ferries said the fee hike would increase its costs by almost $100,000 per year, an expense that might compromise the company’s service. Portland Pilots said the new minimum fees are closer to those charged at nearby ports, and that the company needs additional revenue from passenger ships to offset a decline in oil tanker traffic. In his letter, LePage also said he was concerned about the process behind the rate increase, arguments that closely mirror claims made by Bay Ferries in its lawsuit, including that the board never asked Portland Pilots for financial documents to justify an increase. Commissioners have denied the fee rate was adjusted improperly. In response to the fee increase, LePage said he will support legislation to exempt certain commercial vessels from using pilots. On Thursday, the Legislature’s Transportation Committee will hold a public hearing on L.D. 1752, a bill that would exempt passenger ferries in Portland and Bar Harbor from having to use pilots on all trips. The legislation is opposed by the Portland Board of Harbor Commissioners, Portland Pilots, the Penobscot Bay and River Pilots Association, the Maine Pilotage Commission and at least one member of the Transportation Committee, Rep. James Gillway, R-Searsport.